The Wine Advocate - Tasted blind at the Southwold 2012 tasting. 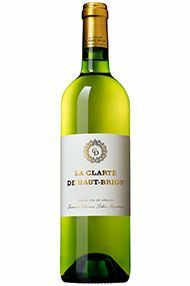 The 2012 La Clart de Haut-Brion Blanc is tight at first and there is just a touch of reduction that blows away with aeration. It never quite finds its feet after that and needs to find more delineation. The palate is well balanced with tangy pineapple and citrus lemon notes, although the second half is dominated by the new oak and this obscures personality and terroir expression at the moment. Let's see if it improves with bottle age. Tasted January 2016. Jancis - Mid green gold. Very zappy and luxurious – could be a good buy? All the sophistication of a first growth without the prices. Lovely breadth and richness but with the smoke of a fine Sauvignon overlaying it all. Substantial (not aperitif wine!) but not heavy. Bravo. GV? Wine Spectator - Bright, with pure green plum, macadamia nut, green almond, honeysuckle and orange blossom notes. Very pure and refined through the finish. Displays ample weight, stopping shy of being overbearing. Tasted non-blind. 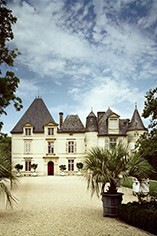 Parker - The second wine from the owners of Haut-Brion and La Mission-Haut-Brion, the 2012 La Clarte is a blend of 58% Semillon and 42% Sauvignon Blanc. This strong effort boasts beautiful notes of apricots, honey, candle wax and melons in a rich, full-bodied, concentrated format. A stunner, it should age effortlessly for a decade or more. Decanter - Bright yellow-green, really lovely slightly honeyed nose with natural ripeness and fine acidity to back it up, vigourous yet elegant, powerful flavours and freshness blending superbly together.